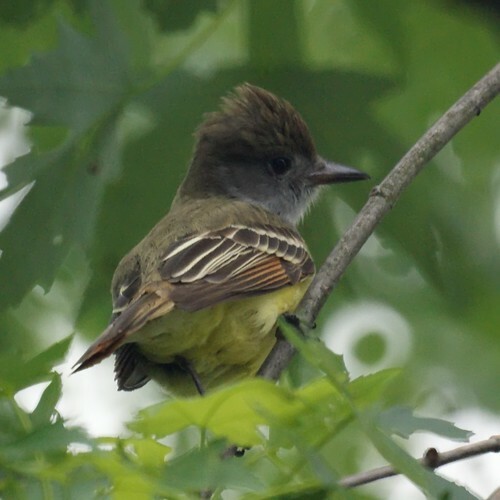 Chris got this nice photo of the Great Crested Flycatcher. The spring migration is really in force at our house now. We also saw a blackpoll warbler (but no good photo, yet). We saw a cedar waxwing high in the trees and two thrushes in the garden. The orioles have begun to build a nest a week earlier than last year. The male oriole is often very territorial chasing other birds away, but he sat on the same branch about a foot away from a cedar waxwing for a good minute.